Click the link for containerised Gage Trees (can be planted all year round whereas bare root Gage trees can only be planted November to March). Our Bare Root Coes Golden Drop Gage tree is the result of a relationship that went extremely well between a Green Gage and Dame Aubert. It is a story you may know. Boy Gage meets girl Gage, Boy gage falls notices her soft fleshy parts, Girl Gage cannot wait to feel his stones and before you know it, the Coes Golden drop is produced. This is obviously the very short version because this first happened in the 18th Century where dating and relationships took considerably longer to start. The Coes Golden drop produces fruits that are large in size (when compared to other Gages as they do not fill your peripheral vision, unless you balance them on your nose!). 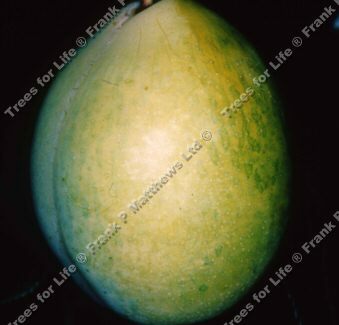 They have an attractive yellow colour with an oval shape and are of excellent eating quality. Self-fertile/Not self-fertile: This gage is self-fertile so there is no need for another gage for pollination. This means it will produces Gage fruits without the need of pollen from another Gage tree. However, should you have a non-self fertile Gage tree that requires a pollination partner then the Coes Golden Drop will pollinate those Gage trees in groups C2, C3 and C4.